A picture is worth 1000 words – take a look at the Portfolio Page, it’s just a small sampling. 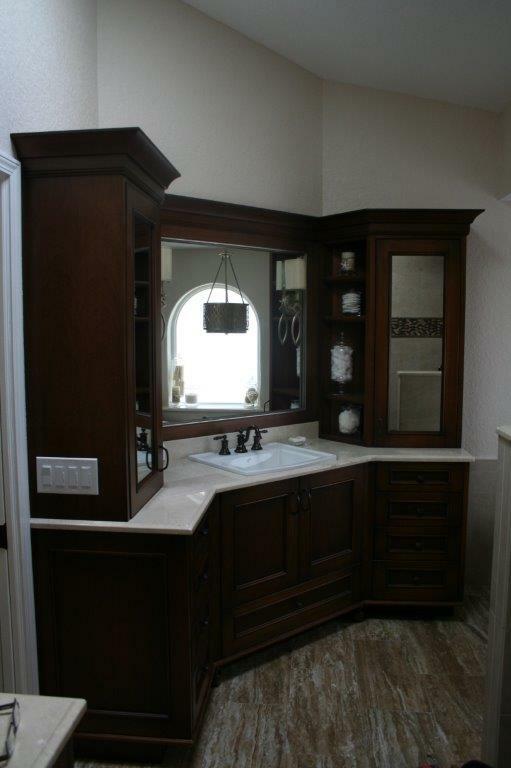 We do a lot of bathroom remodeling projects, and even the simplest ones turn out to be picture worthy. It’s that level of experience that allows us to complete our projects on-time & on-budget. When you first decide to start a remodeling project, whether you simply want to replace your kitchen sink or add on a whole new room, your friends and neighbors surely provided you with a list of detailed reasons not to do it. In most cases, what starts out as a fun process can quickly go sideways if you don’t an experienced and professional firm to put your plan in action or finish the job. Finding a credible, trustworthy company to complete the job is the only way you can effectively avoid a home remodel horror story of your own. That’s where Service 1 Professional comes in. We understand how important your bathroom and kitchen are to your home’s functionality and efficiency. Having either room out of commission for long periods of time can be disastrous and unbelievable. Fast and effective installation is a key part of getting your home remodel completed without completely disrupting its daily operation. Our professional technicians recognize the importance of a job well done, and will carefully install your beautiful new tubs, sinks, and fixtures to help bring your design vision to life. And, aside from a basic install, our staff has the experience needed to add lines of plumbing or relocate existing ones when necessary. On top of our fast and efficient installation services, our team is also well-versed in the local plumbing and building codes.